Beavers although relatively harmless can be very damaging. Because beavers are strictly vegetarian, and eat a diet mostly of bark, any trees on your property can be downed and stripped of their bark. 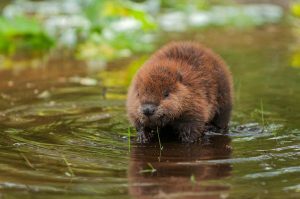 Beavers also can damage by creating dams, backing up water and clogging spillways. Trapping is a solution that Southern Wildlife can help with. With over 13 years of beaver trapping experience, there is no we can’t do!